29 · Fudagens Fate · Stephen Crane Davidson · ss; given as by Steven Crane Davidson in toc. The Urbanite [# 5, 1995] ed. Mark McLaughlin (Urban Legend Press, $5.00, 64pp+, quarto s/b, cover by Mark McLaughlin) The Strange Relationships Issue. 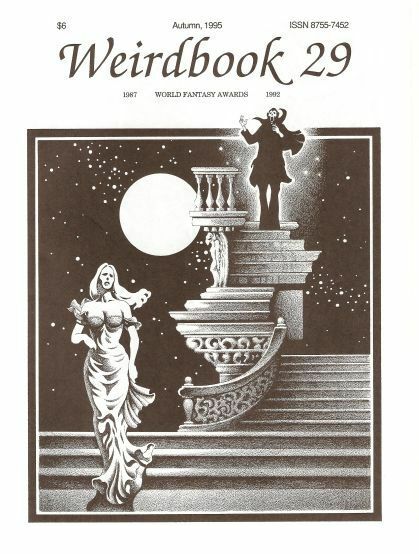 Includes insert Tooth & Nail, two stories by Pamela Briggs. The Urbanite [# 6, 1995] ed. Mark McLaughlin (Urban Legend Press, $5.00, 92pp+, quarto, cover by Mark McLaughlin) Strange Fascinations. Violent Spectres [#1, 1995] ed. Adam Bradley (Adam Bradley, £2.50, 50pp, A5, cover by Dallas Goffin) Small press fantasy/horror fiction magazine. Available from Adam Bradley, 28 Treaty Street, Islington, LONDON, N1 0SY. 31 · Gargoyle · Ed Blundell · pm; as The Gargoyle in table of contents. Works [#10, 1995] ed. 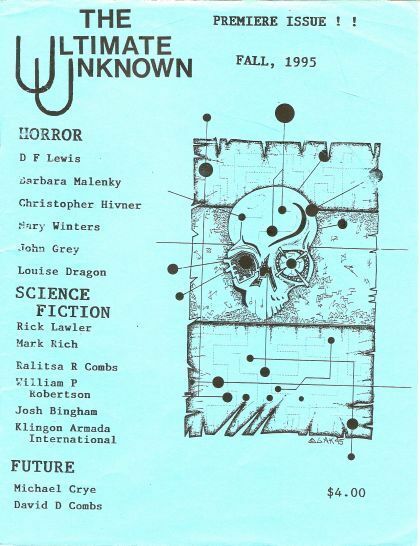 Dave W. Hughes (Hughes, Dave W., £2.00, 39pp, A4, cover by Jay Hurst) Small press speculative fiction magazine. Available from Dave Hughes, 12 Blakestones Road, Slaithwaite, HUDDERSFIELD, HD7 5UQ. 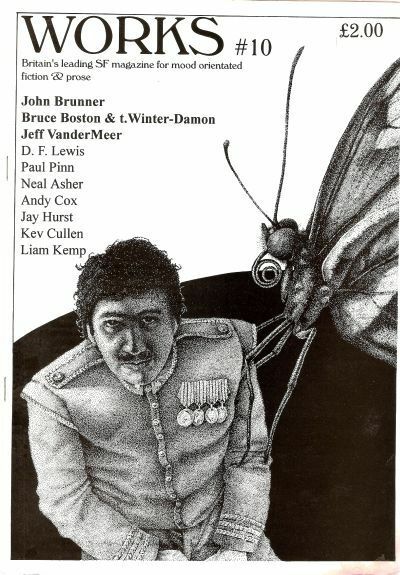 20 · The Ministry of Butterflies · Jeff VanderMeer · ss Starshore Fll 90; as The Minister of Butterflies on Contents Page.